At the end of a hard day at work there is nothing better than settling in with an ice cold beer! When they are only $8 each it makes the end of the day tastes so much sweeter. 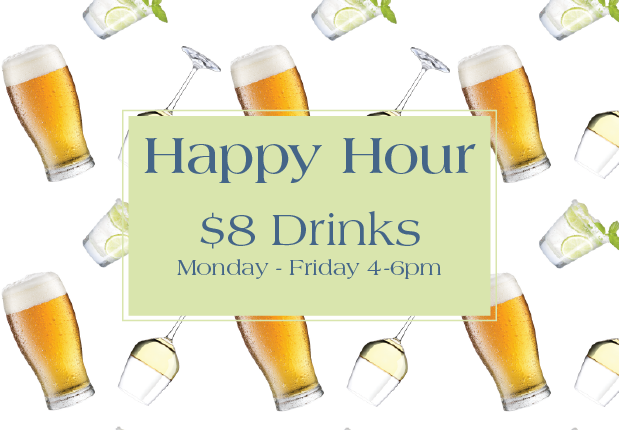 Our house wines and spirits are also just $8 each from 4-6pm.